Weapons Of Mass Destruction Pint Glass | BUDK.com - Knives & Swords At The Lowest Prices! 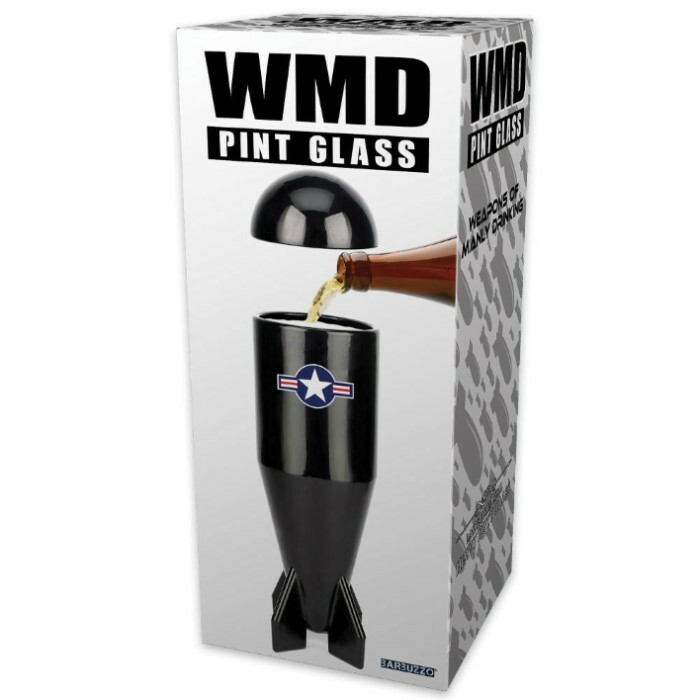 Have fun at your next party when you bring your Weapons of Mass Destruction Pint Glass. 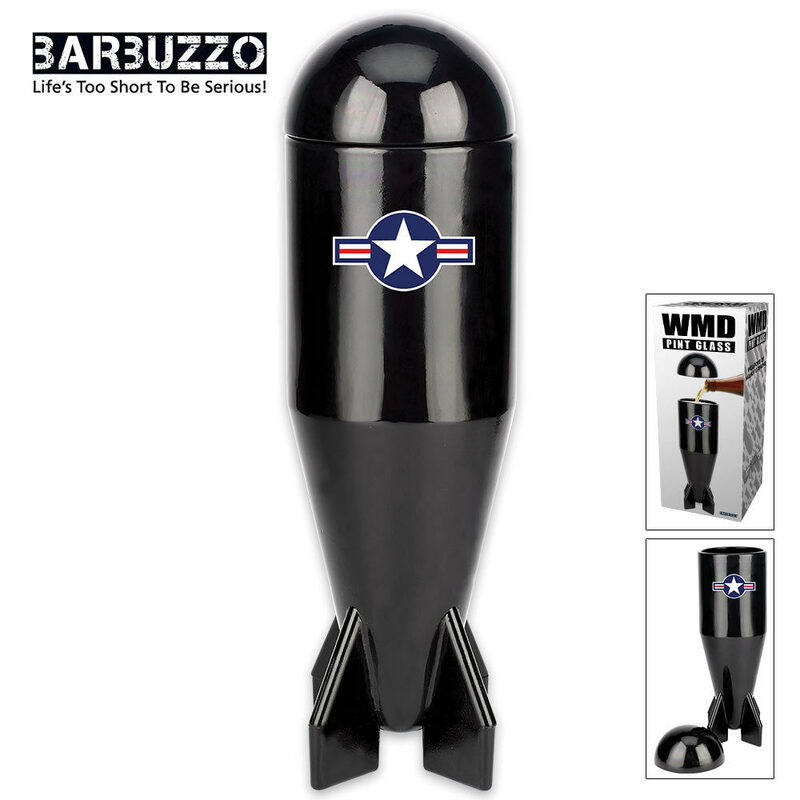 The 16 oz bomb-shaped container is made of heavy-duty black glass and is 8 1/2" tall. 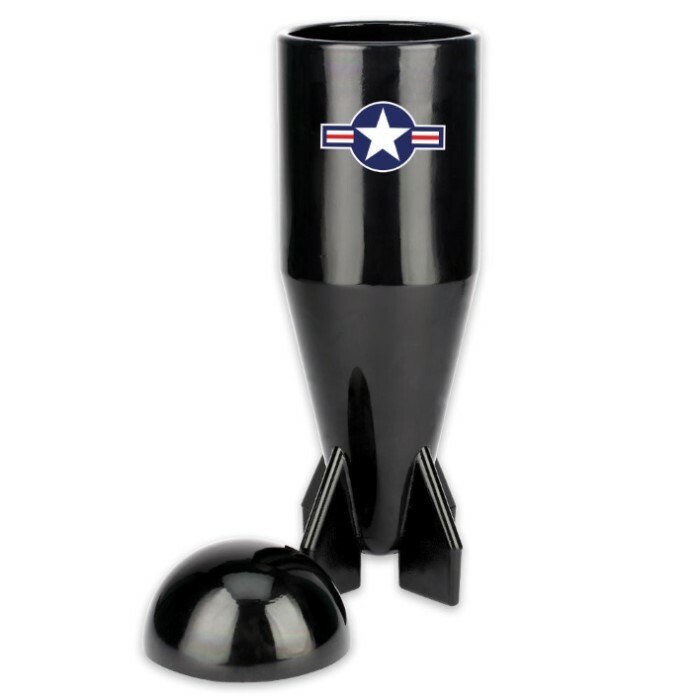 It will definitely a conversation piece at your next party and has a top so you don’t spill your beer. These "Weapons of Manly Drinking" are a definite must-have for you and your buddies!